Hello once again! I hope you’re all keeping busy and doing well with your music! So far I’ve been pretty focussed on how to succeed by playing gigs. I want to shift gears here and talk about another opportunity for us musicians to make a living with music. Teaching. By teaching lessons you can supplement your gigging income as you will most likely have your afternoons/weekday evenings free to teach. If you don’t play shows than you’re free to try and book up as many students as your schedule will allow. There’s pretty good money to be made teaching. It all depends on your ambition. Create your own music school (where you can teach and/or hire teachers to work for you). 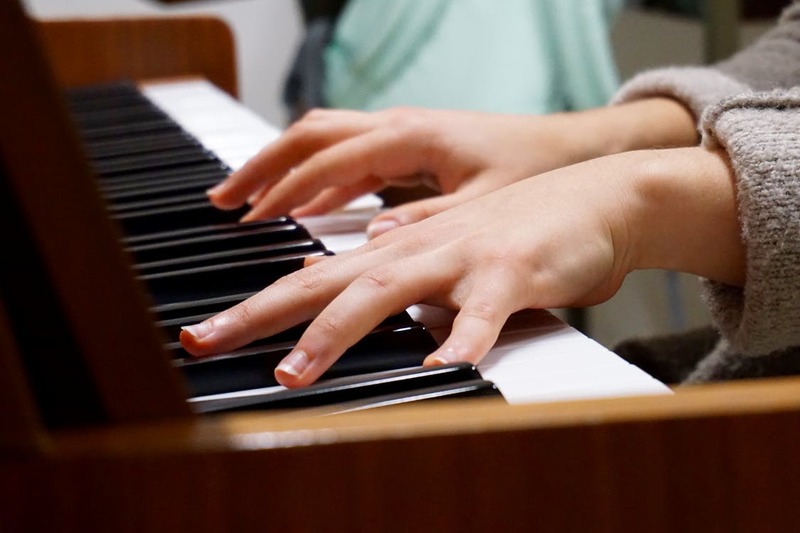 Teaching for a music school is a great way to teach and not have the headache of finding students. You sacrifice a bit of money this way as the school you work for will most likely take a bigger cut. Many music stores offer music lessons. Also there are companies in most large cities that send teachers to students’ homes, providing their clients with teachers without the inconvenience of leaving home. In Toronto I know of a company named “Stay at Home Music” for example that boasts a roaster of hundreds of students. They even put on a recital every year. Search in your area for the music schools available to apply to and get in touch with them. You can also freelance. You can put up flyers advertising your teaching services or go the online route and advertise on websites like Kijiji, Craigslist, and Gumtree, depending on where you are. This one is pretty straightforward. You book up as many private students as you can and set up a weekly lesson time at a rate you negotiate with your client. I liked freelancing as the money is better but you have to work harder to get the work. This option is a more long -term commitment. It usually starts with step number 2. If you can book up so many students that your schedule can not take on any more than you can hire someone to teach for you. This keeps going based on good advertising and word of mouth until you need to hire a third, fourth, fifth…(you get my drift) teacher. It’s VERY important here to do background checks on people you want to hire as you will be liable for any unforeseen incidents. This option has the most risk yet yields the highest payment. I’d advise speaking with a business lawyer and making sure all the angles are covered. You don’t want any unforeseen trouble, you just want a smoothly run business that you can make a living from while providing a great service to your clients. I used to teach 20something students a week and play shows. Lately I’m so busy with shows that I don’t even teach but lessons were crucial in the beginning stage of being a music entrepreneur. When I quit my job at an insurance company teaching was half (or more) of my income and so I’ll always be indebted for the opportunities it provided me with. You have to do what works for you. One downside I noticed was that lessons could seem mentally draining, especially with kids that didn’t care about learning. It was quite frustrating. On the other hand I had some great students with which lessons flew by! If you want to know more you should try it out for yourself. It’s not that hard to do, a lot easier than you might think. I remember when I had my first lessons I spent an hour planning for it. When I got to the lesson everything I planned went out the window because every student is different. In my next post I will talk a bit more about the business aspects of teaching (so, different options for lessons lengths and pricing, and some teaching strategies). This was just a quick blurb to inspire you and open your eyes to another great way to earn a living as a pro musician. It’s great to make money and make a difference (for kids that care enough to try). Teaching can leave you wanting to bang your head off the wall, lol sometimes the struggle is real. Stay professional, be patient, and try to have fun! As always if there are questions head on over to the community page and leave your comments. I would also love it if you could sign up to my blog to receive notifications of new content! I’m working hard to bring you the best content I can and want to help as many of you as humanly possible, so please share this if you’ve found it useful! Good luck guys, you CAN teach music lessons and even start your own school! You can live your life as a full-time pro musician. I’m wishing you all the best with it!